It's the first week of Summer! Yay! I love the slow, leisurely pace of the Summer months. I will confess to a love of frozen fruit flavored treats, too. Last week I saw a reference to Otter Pops online and it took me back to my childhood. 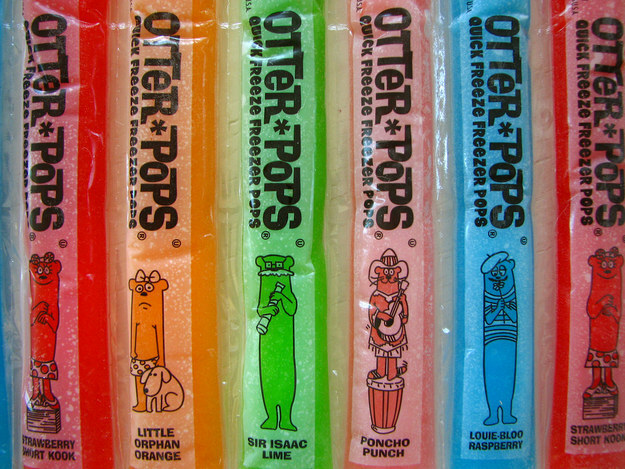 I loved Otter Pops and the similar Fla-Vor-Ice pops. 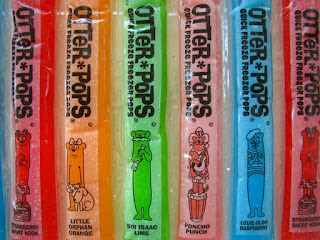 Do you remember Otter Pops or Fla-Vor-Ice from your childhood? Are you still a fan of these frozen treats? They are part of summer nostalgia for me, and always fun (and delicious!). I'd love to hear from you in the comments, below. I've never heard them called Otter Pops, but I grew up with Fla-Vor-Ice and still see it in the grocery stores. So yummy! I love all their silly names! My kids have an otter pop every afternoon after lunch. They are a staple in our house. I haven't had Otter Pops in a long time! Didn't even realize the cute flavors! Otter pops are the best in the summer!!! Oh yeah! Thanks all! I enjoyed reading your comments. Have a great summer weekend!